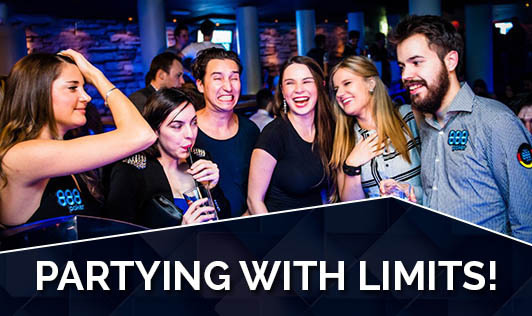 Late night parties are a very common trend in today's fast paced life style. Women planning for pregnancy should start keeping a check on the number of parties they attend. Partying would definitely affect your lifestyle, sleep pattern, food habits and on the whole make conception difficult for you. There are studies which suggest that women who smoke are more likely to develop pelvic inflammatory disease, which reduces fertility. Alcohol consumption also alters the hormone levels in a woman making it difficult for conceiving. As advised by most gynecologists, maintaining your ideal weight before getting pregnant is very important. Going out to parties lures you into eating high calorie junk foods and fried foods that make up the menu at these places. These eating habits will make you put on undesirable weight. It is best to keep yourself healthy before and during pregnancy. So here are a few practical tips that can help you cut back on partying. • Limit drinking to only special occasions. • If you would like to meet with your friends, an environment that is smoke-free and clean would be the best choice for you. Try to abstain from alcohol, junk and fried foods when you go out. .
• Don't ever make eating out a habit. When you are addicted to that lifestyle it becomes difficult for you to bring about a change when it is necessary. If it is your weekly routine, then be committed to find a healthier substitute for it. • If your parties usually extend beyond midnight, try to wind up early. Remember not to leave for the party on an empty stomach, instead have a healthy snack before you leave your house. This habit will help you avoid binging and over eating. Make your party a de-stressing and relaxing get-together.... Cheers!